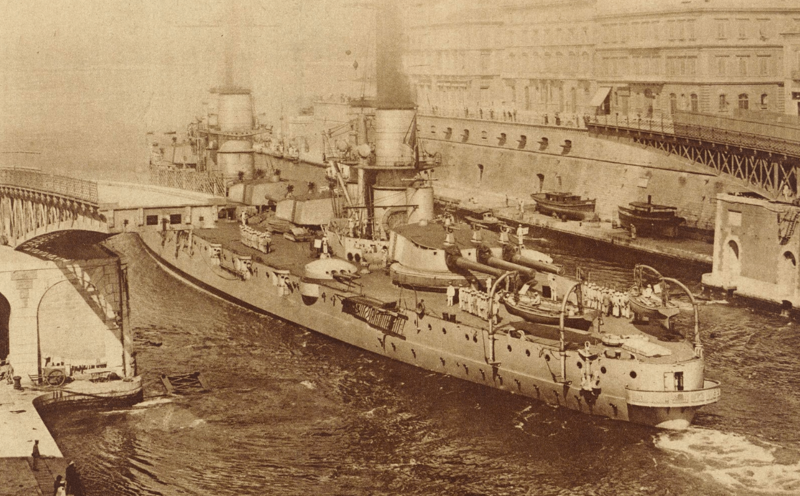 The Dante Alighieri was the first dreadnought built by Italy. The peculiarity of her name is that she’s the only battleship named after a poet(other poets got “only” destroyers from the Oriani-class). She followed the Italian philosophy of speed over protection and, as such, she was lightly protected compared to the Cuniberti’s dreadnought. Compared to the older design however Dante Alighieri was much more armed: twelve 305 mm on a broadside compared to the eight of the Cuniberti’s and those guns were the newer 305/46 which were overall better than the older 305/40. The secondary armament was a mix of 120 mm and 76 mm. She served during WWI, without seeing much action. She remained in service until being stricken in 1928.